No real changes came to the Balance Druid with the 5.3 patch. The changes that effect everyone are the massive PvP Power nerf and the changes to resilience. The value of PvP power was cut by a third in 5.3 and the value of both PvP power and Resilience gems was cut by half. Int is now your best damage stat in 5.3 and you should stack it. Resilience was greatly changed in 5.3. Walk into the battlefield naked and you still have 65% Resilience. It’s also been removed from most gear, though you can gem and enchant for it. Doing so will mean that you do less damage, which will make you less able to punch through the other’s guy’s 65%. Still, if you’re feeling squishy then go for it. Hit and Spirit (Balance of Power) and Expertise add into your Spell Hit. If your Spell Hit is low and you have a piece of Hit/Crit gear you can reforge the Crit to Expertise and see the increase in your Spell Hit. Getting the 6% Hit should be trivial, you’ll probably want to reforge some of it away. Total Spell Hit over 6% is useless. Spirit how much you need depends on how happy you are with your mana regen. It also adds to your Spell Hit rating. It’s completely your call on how much you will need. If your Out Of Mana (OOM) all the time, then get more. If you’re at full (or nearly) all the time then drop some for other stats. Keep an eye on that Hit rating, though. Crit becomes very strong when you have many targets, they’re all DOTed, and you’re getting the procs. Mastery, while nice, isn’t as nice as the other stats. Do you need Spirit, due to low mana recovery? Reforge your weakest stats to Spirit. Are you mostly in one on one fights? (Eg: Duels, Arena 2×2?) Then reforge to Haste. 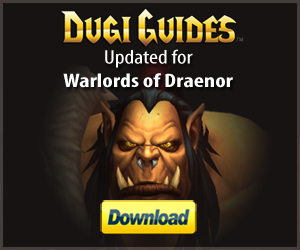 Are you mostly in BGs and large groups? Reforge to Crit to get more of those procs. Roatations – while PvP doesn’t have rotations you can get some idea of how to generate maximum damage on our Balance for raids page. Just adapt those routines appropriately. Also check out the video, below, for BG tips. You can see much more about Druid PvP on Skill-Capped. Not free, but a very low-price. See below for talent explanations. The above picks are checkmarked below. Feline Swiftness – This is a nice all-purpose movement increase, but doesn’t add any form of charge or burst. Displacer Beast – Blink forward, take cat form, and have a brief movement boost. Nice for getting out of trouble or generally adding to movement. 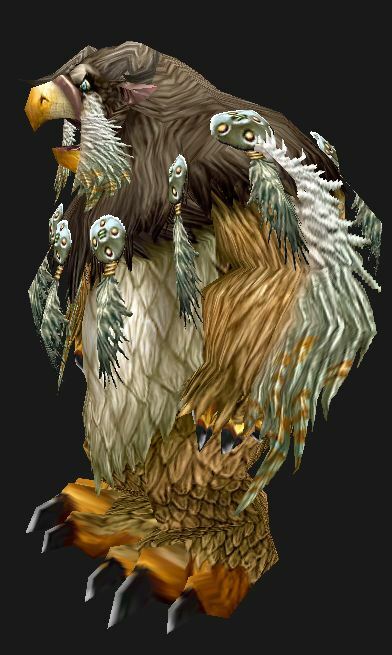 Wild Charge – In Moonkin Form, WC acts like the Hunter’s Disengage and has a 15 second cooldown. You jump backwards up to 20 yards, to continue blasting from a safer distance. Usable only during combat. This might be a tossup with Displacer beast, just for this one feature. It does different things in your other forms, such as leap behind and daze your opponent in cat form, so it looks like a winner for versatility. Nature’s Swiftness – Various useful spells become free to cast, with increased effect and duration, from any form. Once every minute. This provides a great deal of flexibility. Renewal – Insta-heal usable in any form. Nice for those situations, but not as versatile as Nature’s Swiftness. Not as useful as the other two. Cenarion Ward – Protect someone else? What? Who would ever do that??? PvP is about being the solo hero, right? A decent talent, but Nature’s swiftness is much more versatile. Faerie Swarm – Adds a snare to Faerie Fire. Damages armor, slows, and prevents restealth for the duration. Great for one on one fights, though the other two have definite use in crowd situations, eg: Battlegrounds or World PvP. Mass Entanglement – The good ol’ entanglement spell, now usable on the masses. Also usable in any form. Great for those time when you’re dealing with runners, or need to get away, but has a 2 min cooldown. Only lasts a few seconds in PvP, not 20. Typhoon – Great for a boomkin, not only because it’s sweet for knocking people off boats or cliffs. It keeps them away from you. That knockdown also interrupts spells and effectively silences them while they stand up. A 20 second cooldown makes this a sweet talent. Soul of the Forest – Faster energy return is always nice, but Incarnation is more generally useful. Incarnation – Versatility and greater potential for slaughter. What’s not to like? Force of Nature – Summon a tree to fight ineffectively for you, much like the Mage’s Mirror Image, except that this is a talent. Incarnation is more useful and has the potential for greater burst. Disorienting Roar – Nice for crowds, especially when you find yourself in the middle of one or you need to stop a charge. Rogue/feral pops in, roar, escape, nuke. Keep in mind that damage will break the effect. Ursol’s Vortex – Basically a group Slow that keeps people from escaping the area or getting close to you. Great for crowds. Slow ’em and nuke ’em. Can be used to keep someone pinned to an area. More useful in BGs than elsewhere. Mighty Bash – Stuns are sweet and this one certainly has its uses, but this is a melee range stun and melee isn’t where you want to be. Certainly has its uses, though. Stun > Disp. Beast > escape or burn. Heart of the Wild – 6% increased Int isn’t bad at all. This is the one to pick if you shapeshift a lot. Dream of Cenarius – Not worth taking unless you’re mixing enough healing and damage to be worthwhile. Nature’s Vigil – Straight-up damage and healing increase for 30 seconds every 1.5 minutes is the best choice here, for most situations. Your damage will also heal (for a small amount) your nearby ally. One of the Developer goals in M of P was to make a variety of glyphs useful, instead of just a couple. They’re succeeded. Depending on your situation different glyphs will be better than at other times. Fortunately they can be easily changed, one at a time, just like talents, with a Tome of the Clear Mind. Glyph of the Moonbeast – cast various spells while remaining in form. Glyph of Barkskin – Reduce your chances to be critically hit. Glyph of Solar Beam – increases the radius by 100%, which is great for those crowded situations. Glyph of Stampeding Roar – Your whole (within 40 yards) group moves faster and loses roots and snares. Glyph of Entangling Roots – Reduced cast time of 0.2 seconds doesn’t sound like much, and it isn’t. Glyph of Cyclone – Increased range of one of your favorite spells. Glyph of Nature’s Grasp – reduces cooldown by 30 seconds. Glyph of Innervate – Depending on how your mana regen is, and your chosen role, this might be a decent choice. These are all of non-combat utility or simply cosmetic. Glyph of Grace – This one is as close to required as any minor glyph as it reduces falling damage in all forms. Now you can leap off high places and blast away on the way down, without taking major damage. Glyph of Stars – Changes your form, for the one or two who might not be fans of the Boomkin form. Glyph of Charm Woodland Creature – you can charm one of the critters running around in the BGs and just maybe save it from a horrible death! Glyph of Aquatic Form – Faster swim speed is occasionally quite nice. Glyph of the Cheetah – if you don’t like the Stag form, can’t take a buddy with you, though. In M of P, the gems with secondary stats have twice the value of gems with primary stats, so your Haste gems are 320 points and your Int gems are 160. This gives reason to match socket bonuses, esp. since they are all for Int, PvP Power, or Resilience. Go here if you need gold for gems. With the 5.3 nerf to PvP Power you will probably want to gem for Int and use hybrid Int gems for the yellow and blue sockets. Remember that your Leather Specialization adds to any Int gem (and other Int) bonuses, making them worth 5% more Int. That bonus does not add to other stats. 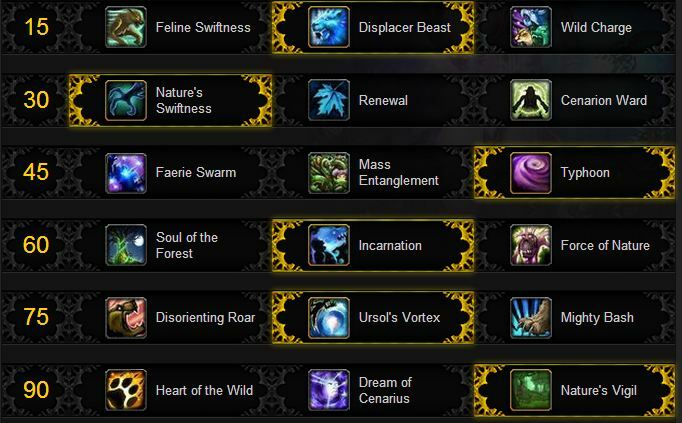 Keep in mind that an Expertise enchant will add to your Spell Hit rating, if you need to top off you Spell Hit. Enchant Weapon – Jade Spirit: Sometimes increases Int by 1650, might increase Spirit by 750 if mana is low. Enchant Chest – Glorious Stats: +80 to all stats – With the 5.3 resilience change this one in now a viable option. Most of the professions add an average of about 320 Int. Since gems with secondary stats are twice the value of those with primary stats (320 Haste Vs 160 Int, for example) Blacksmithing might be the most valuable profession if you’re just looking for the buffs. You’ll be able to slot the two additional gems. Note the killer Haste cooldown for Herbalism. Mining and skinning aren’t worth much, unless you just want them for the gold. Tailoring Cloak enchant sometimes adds 2k Int for 15 seconds. Blacksmithing gives two extra gems slots. Since gems with secondary stats have twice the value of gems with primary stats Blacksmithing might be a very valuable profession. For example, you’ll be able to socket the two gems for 640 Haste or Crit instead of 320 Int. Herbalism Small heal and 2880 Haste for 20 seconds. You can also find spirits that will heal or restore mana. If Pandarens could be Druids they’d get twice the food buff. All food buffs last one hour. Alchemists get about 30% more effect and an extra hour from Flasks and Elixirs. Go with the flasks, they’re better. Crystal of Insanity – this is an uncommon (under 10%) drop from a rare Elite in the valley of four winds. It increases all stats by 500 for an hour. Since Druids, in one form or another, have use for Int, Stam, Ag, and Spirit that’s 2k points of stats and it’s not used up. Cataclysm allowed the Worgen and Trolls to become Druids. Mists of Pandaria made no changes to races or racial abilities and there are no Pandaren Druids. War Stomp stuns nearby opponents, allowing for more nuking or an escape. Stomp, Wild Charge or Displacer Beast away, start nuking. Increased health doesn’t seem to scale well at very high levels, but is still a plus.5% of 300k Health is 15k that the Night Elf doesn’t have. Can periodically move quickly, which is always useful. Increased crit chance is nice, since Crit is a good stat for you. Increased skinning speed and skill, but you can’t skin Tauren. Berserking increases attack and casting speed. Stick it in a macro for those bursty times. Damage increased Vs beasts, all 5 million of them, which is nice while leveling and will have some use Vs beast mobs in dungeons and raids,but is pretty useless in PvP since it doesn’t count Vs Worgen. Ranged weapon Expertise is not useful to you. Shadowmeld has situational use. It can break incoming spells if you time it just right. You can also ‘meld while in combat and then prowl away to get better positioning. This works better in chaotic groups than situations where you’re being the focus of attention. 2% dodge is a nice ability for bear tanks and cats, you have will have little use for it. Faster movement while stealthed is nice when prowling, but you waddle and usually don’t prowl.